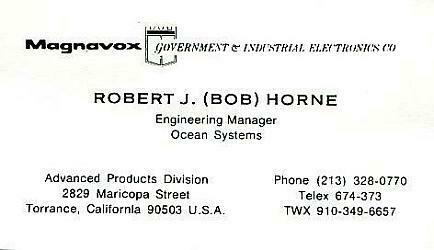 I was hired in Torrance in 1974 as a Senior Design Engineer in the INS group and then later promoted to Hardware Engineering Manager responsible for the assembly and testing of the Integrated Navigation Systems. 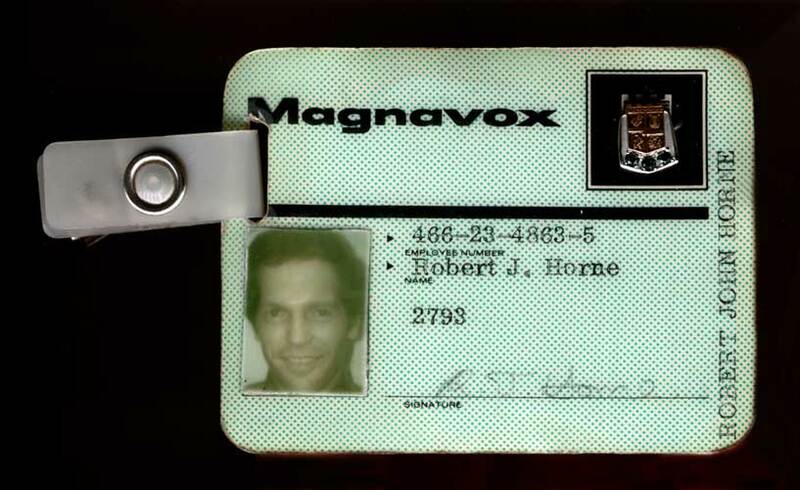 I continued to have a role in digital electronics design & also writing software for interface and system testing. NOTE: The INS group was later renamed the Ocean Systems group. 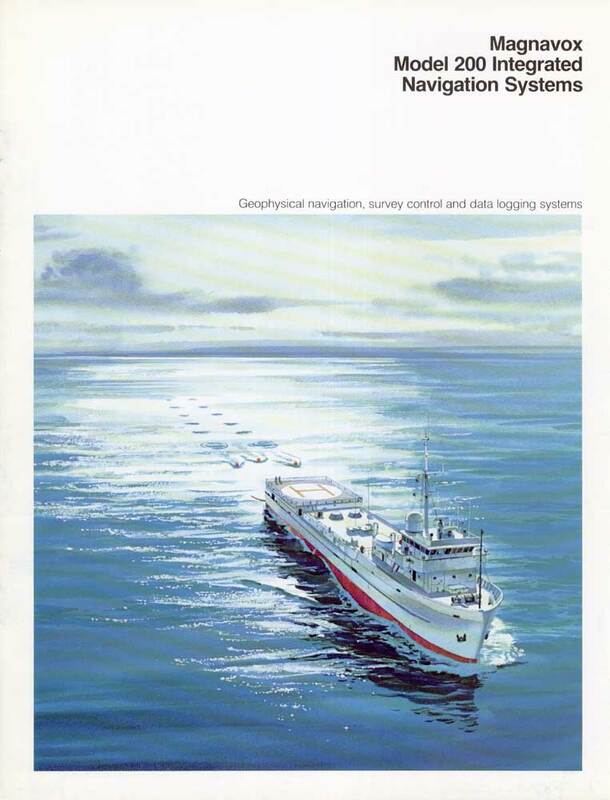 The Marine Integrated Navigation Systems were mainly used on Geophysical (Seismic) Survey vessels to enable them to carry out precision seismic surveys. However they were also utilized on Oceanographic and Hydrographic Survey ships and Deep Ocean Mining research vessels where very accurate navigation and knowledge of position was also essential. 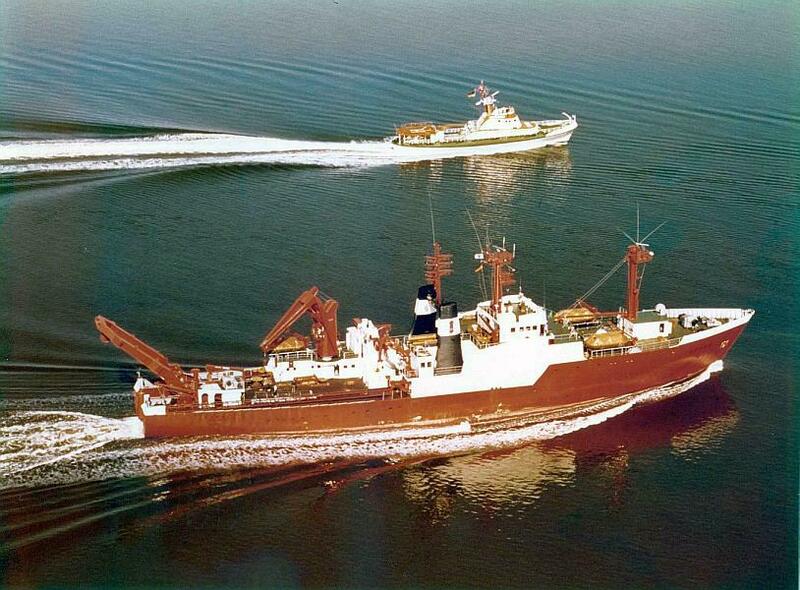 The Integrated Systems were tested before dispatch on Magnavox's own vessel "The Dutchess Diane" which berthed in San Pedro harbour. Some examples of our integrated systems. An early INS using an Hewlett Packard HP2100 minicomputer. Note: The high-speed punched paper-tape reader for loading programs into the HP computer. 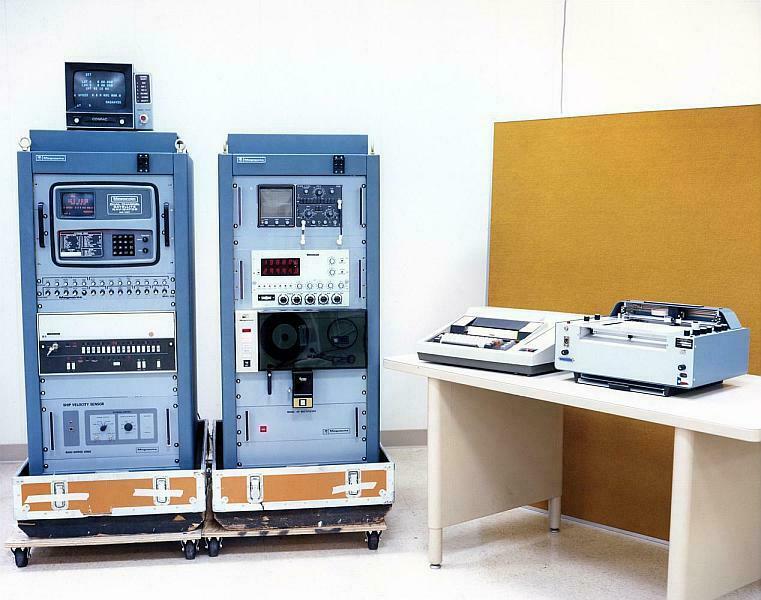 The Kennedy digital magnetic tape decks for recording the navigation data. 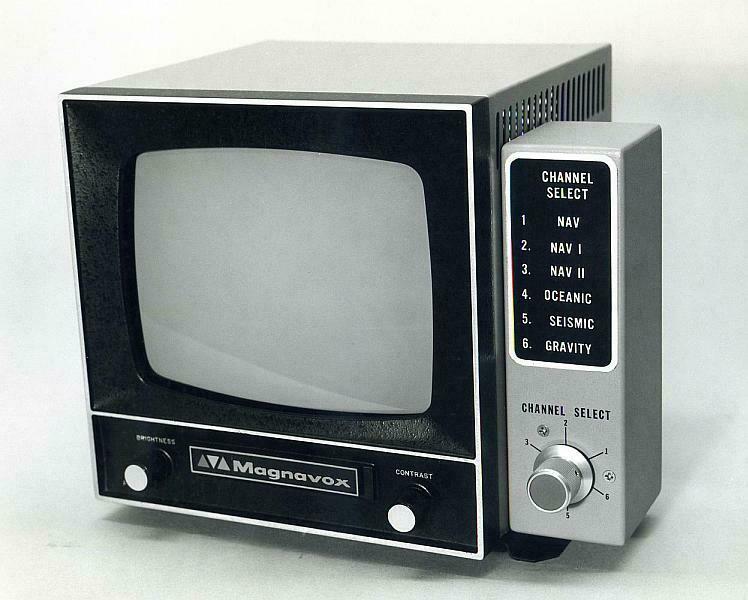 The Magnavox satellite receiver for creating position fixes from the "Transit" satellite system. The Edo-Western doppler sonar & Mk 227 Gyrocompass (+ speed log) for dead-reckoning between satellite fixes. The Teletype console for communicating with the computer (the console had a slow integrated paper punch and reader). The plotter for plotting the sat. fixes, the dead-reckoned course, and the seismic shot positions. Also included was a computer output to the ship's autopilot (see unit with ships wheel) for computer steering of the ship. 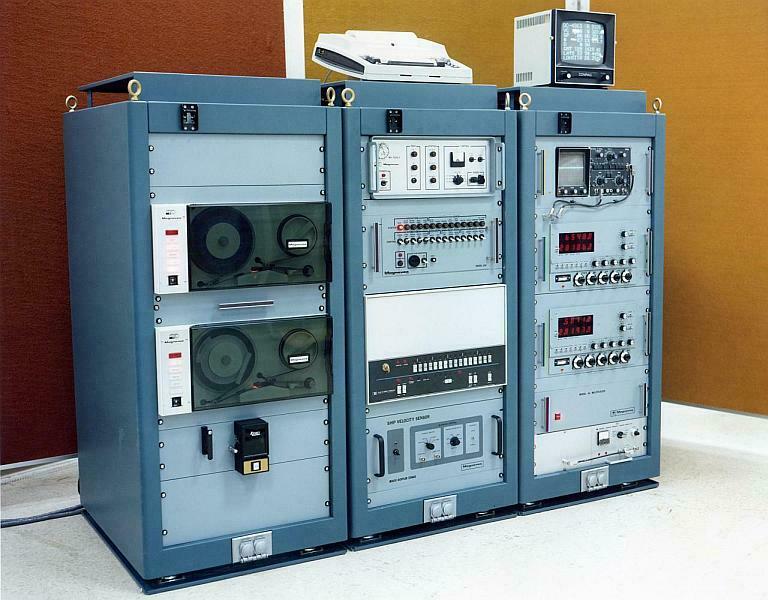 An early 3-rack system using the HP2100 computer and a Teledyne Loran-C receiver (which utilized a very complicated all-hardware tracking system - mostly replaced by microprocessor software in the later Micrologic receiver). 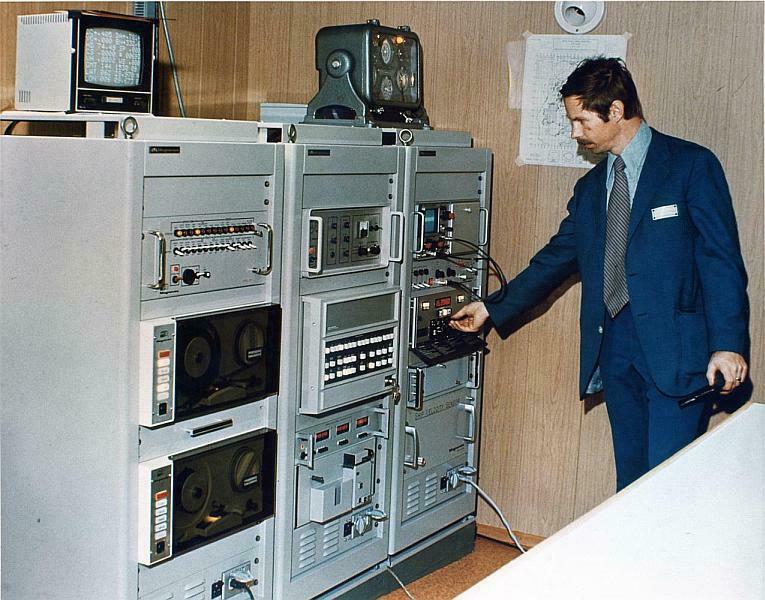 An expensive rubidium frequency standard (located below the Loran-C set) was required as a frequency reference for accurate Loran-C navigation. 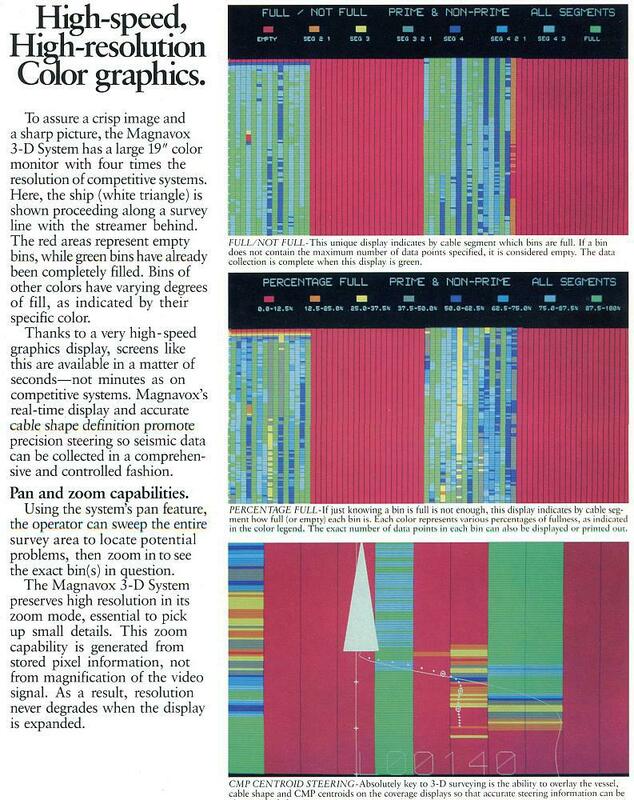 An early Magnavox doppler sonar set is seen on the bottom of the end rack. Also, Integration with a Decca Hi-Fix system (mounted on top of the end rack) can be seen. 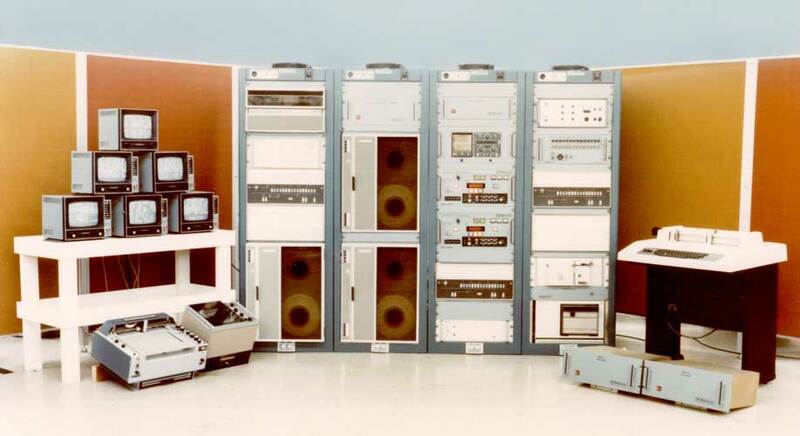 Here is a later 3-rack system with an HP 21MX computer with an expanded I/O compartment for interfacing many more external peripherals (instruments) to accommodate the increasing number of on-board instruments. This is in addition to the number handled by the Model-40 multiplexer unit. This system also has 2 Micrologic Loran-C receivers (incorporating our standard in-house electronics modifications & matching painted-chassis). The metal racks had quiet fans mounted inside (at the top) for system cooling. 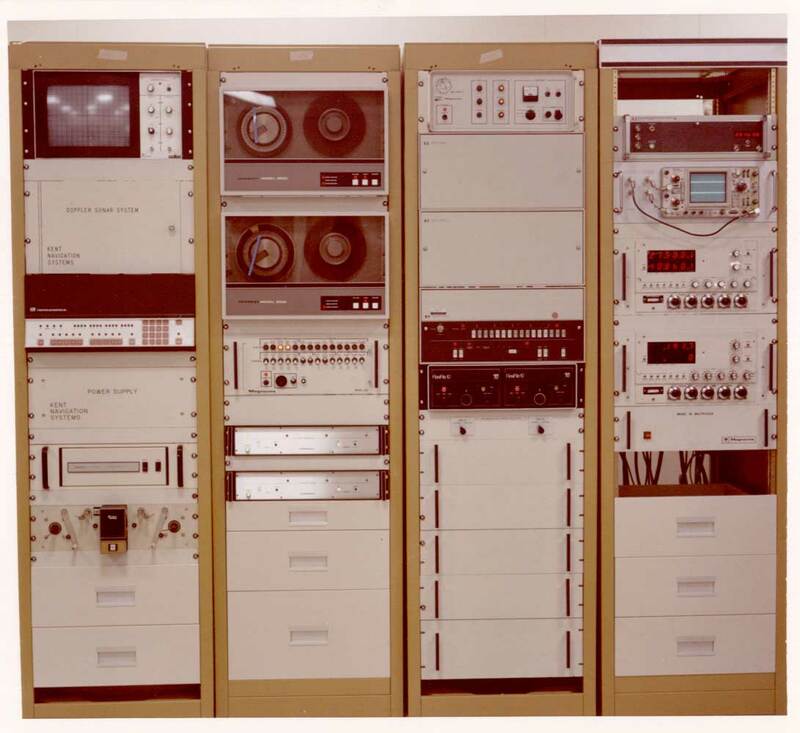 This 4-rack system was built for Mobil, USA. It used an HP-21MX computer with 2 I/O expander modules (seen above the computer) AND a Model-40 multiplexer for interfacing the large number of instruments to the computer. 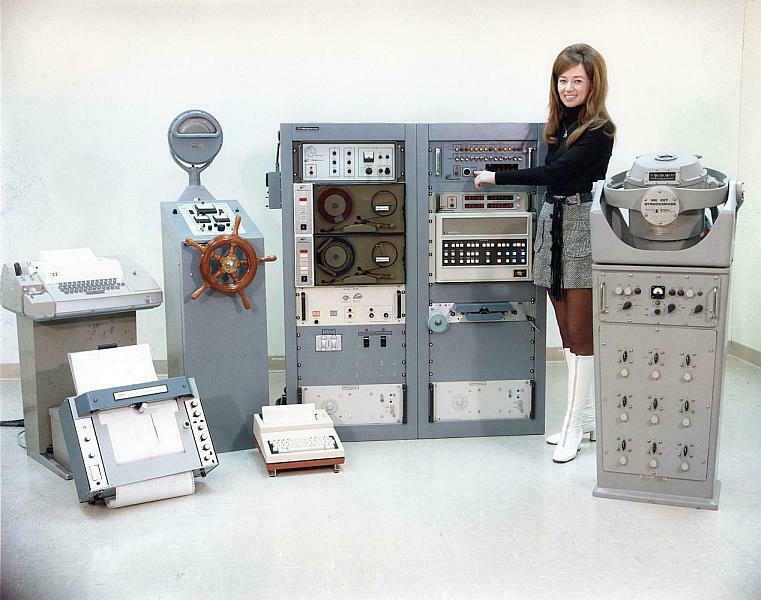 It used a Kent Navigation Systems deep-water doppler sonar system which had it's own dedicated computer (seen below the sonar panel). This system also has 2 Micrologic Loran-C receivers, each with a rubidium frequency standard. 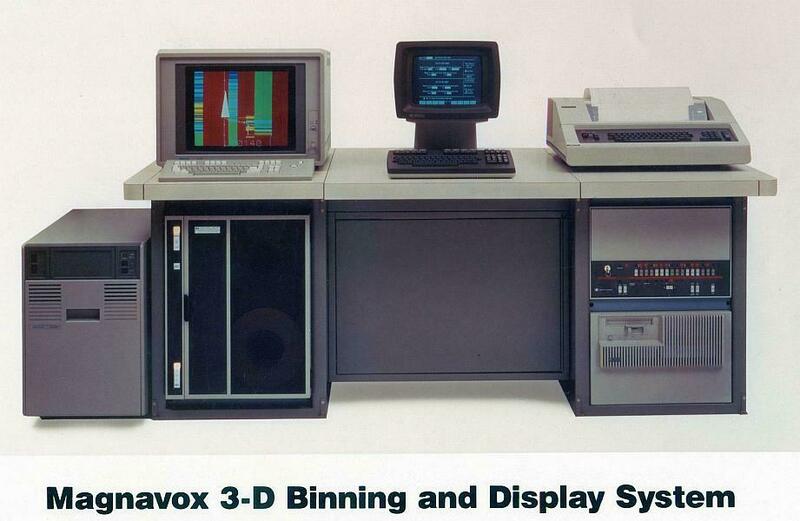 This 4-rack system was built for Japan's Japex company and incorporated 3 HP-21MX minicomputers and 3 tape decks. CRT monitor with switchable channel selection of different navigation and data displays. These would be placed in different parts of the ship. 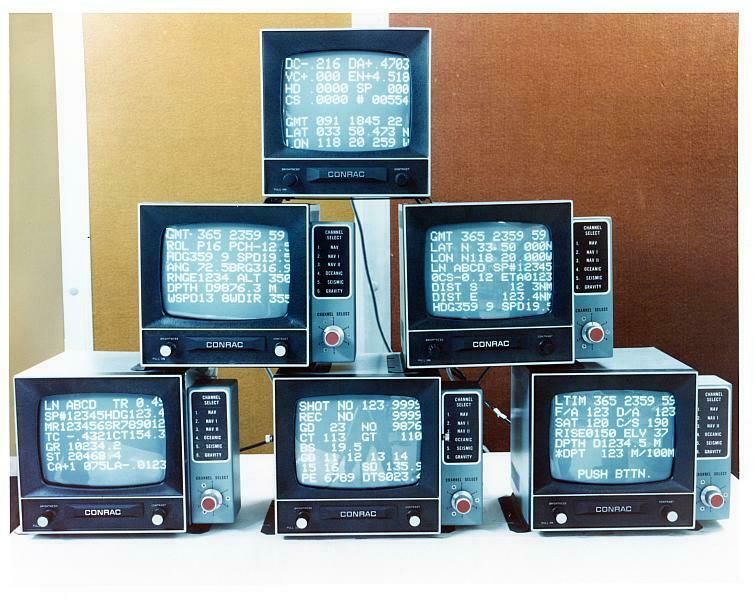 6 CRT monitors with switchable channels showing the different type of displays.